1. Anyone may enter. You do NOT have to be a fan club member or a kid...everyone's welcome to submit an entry. 2. No more than two entries per person. If you send more than two, the contest coordinator will choose the best two and post them. 3. All entries must be received by either email or regular mail by October 1st. All entries will be posted on the Kids Club web site and will be voted on by visitors to the site. Voting will take place once all entries are posted. Contest winners will be announced as soon as the votes are tallied. 4. No one is permitted to take this contest too seriously. It is all in FUN! This is a very important rule. 5. Two prizes will be awarded - one for a kid's entry and one for an adult's entry (see below). 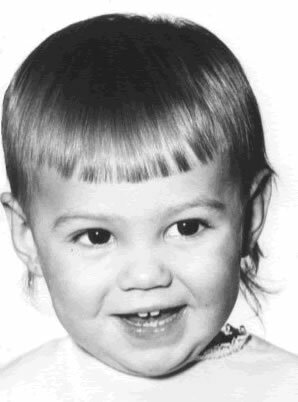 If you are a teen and are very handy with graphics programs, please enter your picture under the adult category....this way the little kids will have a better chance. Please remember: This contest is JUST FOR FUN. Once all the entries are in, the contest coordinator will do her best to share them with Jackie. 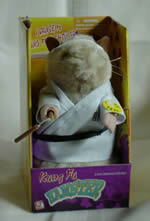 The kung-fu hamster dances to the tune of "Kung Fu Fighting" and is very funny. Many thanks to Kids Club members Steph and Lisa Schwark for donating the hamster to be used as a prize. 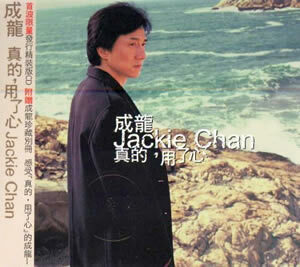 The CD is brand new AND is Jackie's latest musical effort. This edition is the one that includes a CD sized booklet full of photos of Jackie! A true collector's item. This prize was donated by an anonymous fan. Note: The contest coordinator reserves the right to amend the rules of the contest if anything unforeseen crops up. The contest coordinator also reserves the right to refuse to post an entry if it is objectionable or offensive in any way. Thanks to Debbie over at the JackieChan.com message board for coming up with the idea of a Jackie as Jedi contest!